This Azzurri Classico Coffee Machine from Blue Ice takes your coffee beans and turns them into one of four delectable beverages at the simple touch of a button. 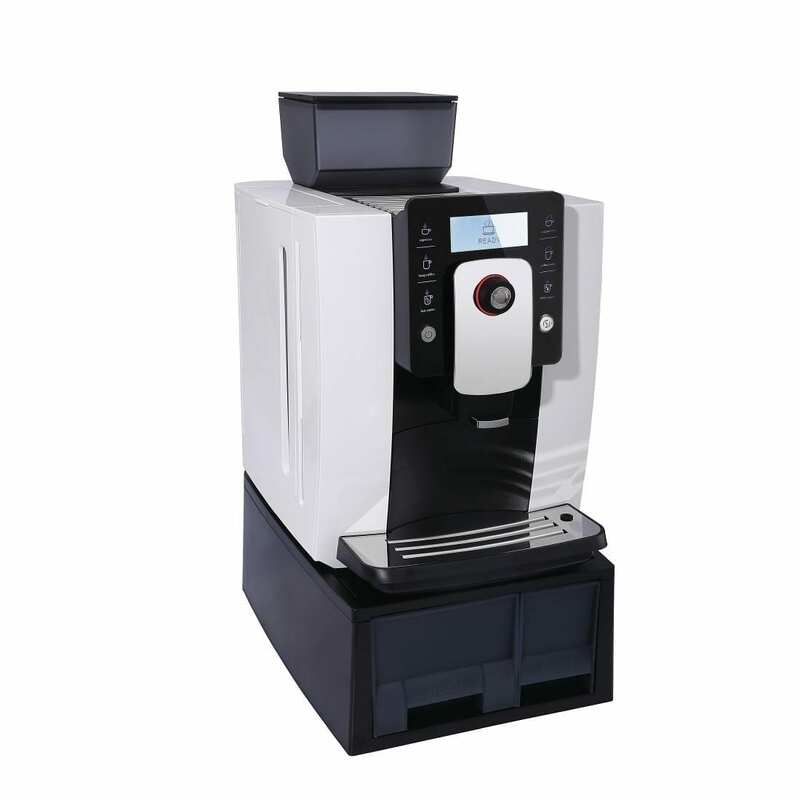 Developed with a range of supplementary features including a milk frother to perfect your cappuccino’s, indicators for when your coffee is ground and when the drip tray is full, and a stand alone milk chiller for milk based drinks, this machine comprehensively covers all elements linking to the drinks it creates. The touch screen control is automated to take most of the hassle out of the grinding and roasting process, whilst an integrated auto clean function takes away a fair chunk of maintenance work on part of your staff. Putting out up to 90 cups of premium coffee per day, this is a machine that values quality over quantity. Please note: suitable for use with light to medium roast coffee beans only.